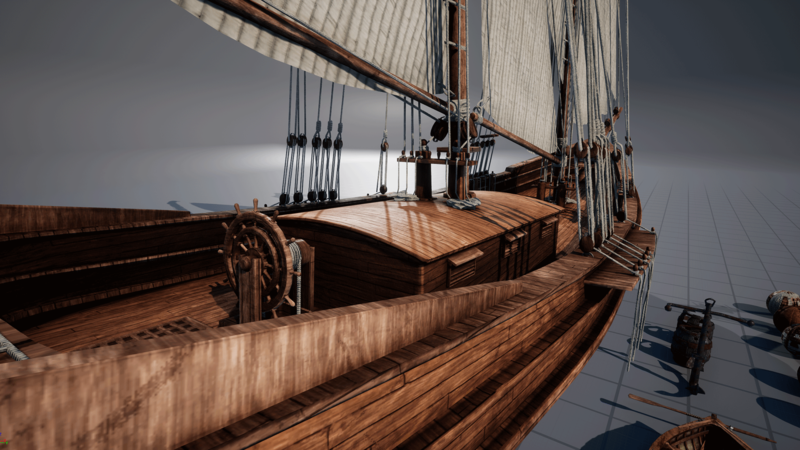 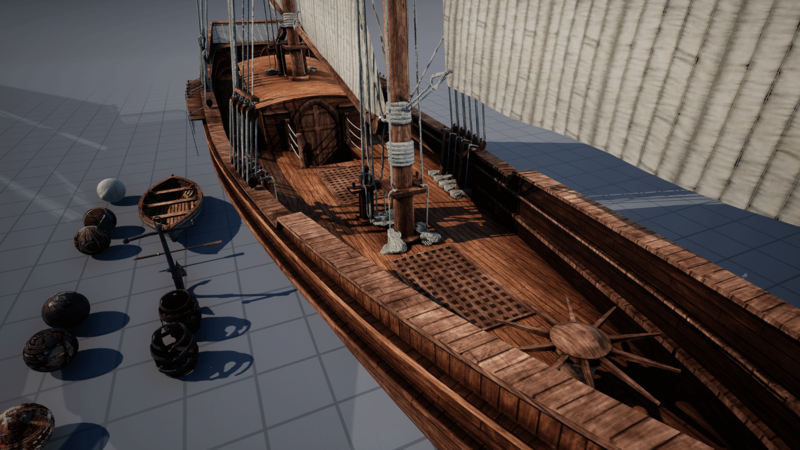 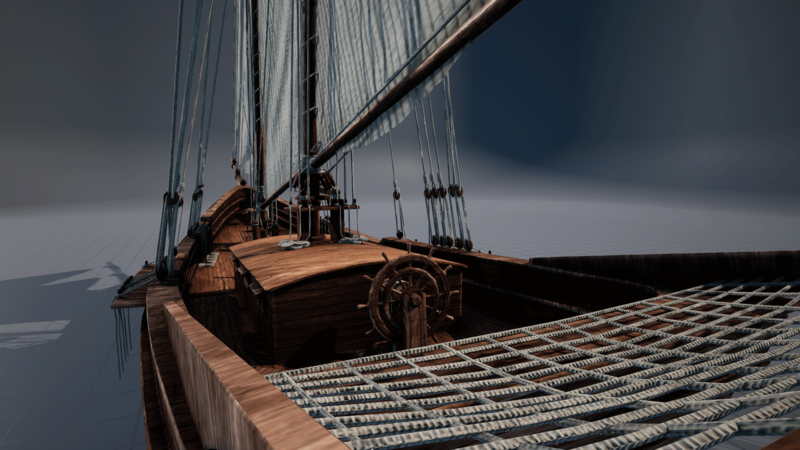 This game-ready wooden sailing vessel includes custom collision and LODs for optimized, in-game performance. 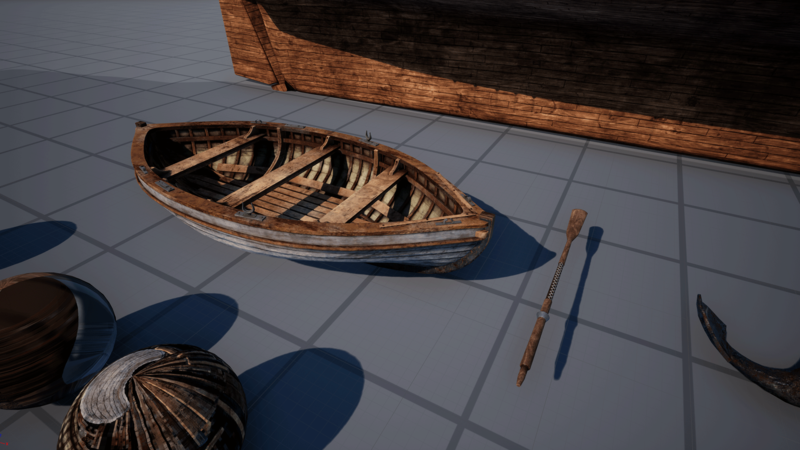 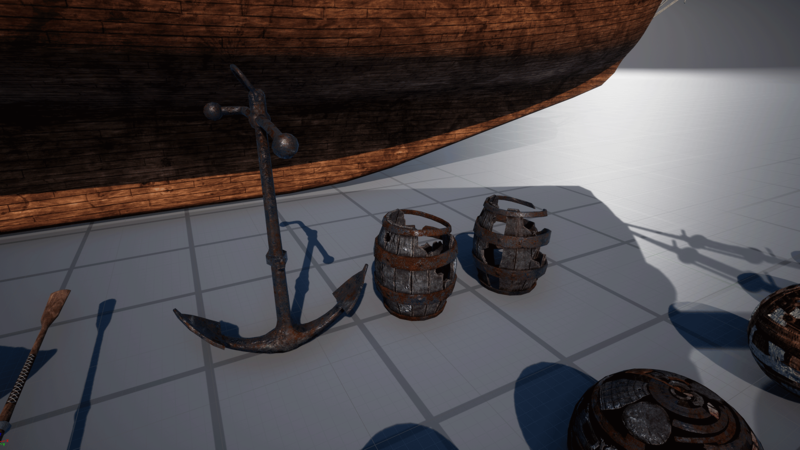 This pack also includes a rowboat with oar, anchor, and broken barrels; all of which are built with custom collision and LODs. 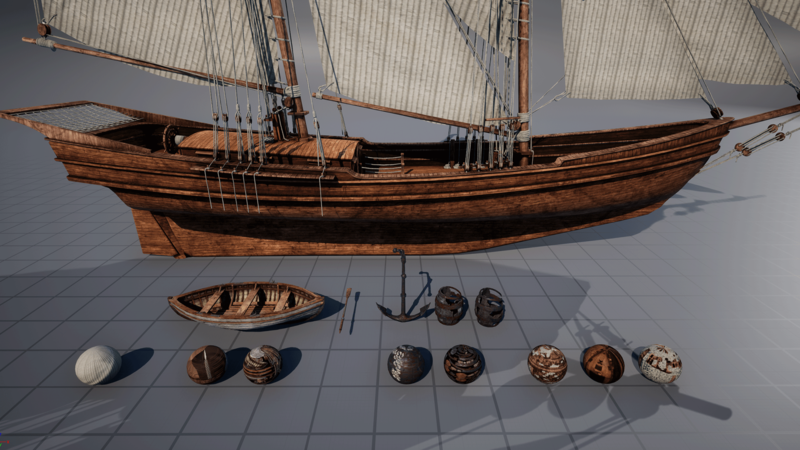 A common master material makes for easy customization of each material instance.